In the coming days, Congress is expected to consider the REINS Act (Regulations from the Executive in Need of Scrutiny). Broadly, the law would allow Congress to approve or disapprove of “major” regulations before they take effect. According to American Action Forum (AAF) research, if adopted, the REINS Act could save more than $27 billion in annual regulatory costs and 11.5 million paperwork burden hours. AAF reviewed all recent proposed rules by their annual regulatory costs and paperwork burden hours. All of the rules discussed have annual costs exceeding $100 million or impose more than one million paperwork burden hours. If REINS passed, Congress is likely to scrutinize every major rule, but the following regulations have high cost burdens and national affects. Although there are dozens of major rules issued annually, AAF’s sample contains rules still in their proposed form and likely eligible for a resolution of disapproval vote once finalized. The following rules are strong candidates for Congress to consider during disapproval votes. Under the proposed law, Congress has the freedom to approve or disapprove all major regulations, but if Congress disapproved these regulations, they could save Americans $27 billion in annual costs and 11.5 million paperwork burden hours. EPA’s Definition of Waters of the U.S. Many of these measures are familiar to Members of Congress and relevant committees. The revised ozone proposal could be the most expensive regulation the White House has approved in a generation. New greenhouse gas standards for power plants could raise electricity prices by more than six percent and eliminate 42,000 jobs, and that’s according to EPA’s math. From higher energy prices to more expensive consumer goods, there are plenty of regulations that Congress could examine if REINS passes. However, those twelve rules are still just a fraction of the major rules issued annually. Last year alone, the administration published 79 major rules. In 2010, the Obama Administration set a modern record by finalizing 100 major rules. 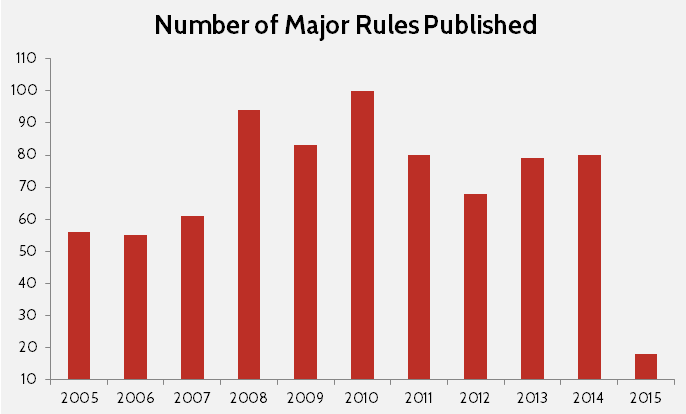 The graph below displays the number of major rules issued during the last ten years (based on Government Accountability Office data). During the last ten years, regulators have issued 755 major rules, or measures that have an annual effect on the economy of $100 million or more. Yet, given the pace of rulemaking, Congress has scrutinized just a fraction of these regulations and held disapproval votes on an even smaller proportion. 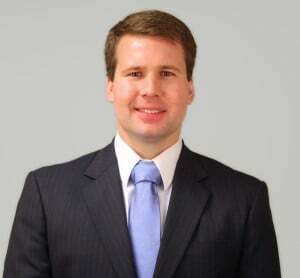 In practice, REINS wouldn’t disapprove of all major rules, but it is likely that a handful of regulations, perhaps five to ten a year, could receive significant debate. For a local perspective, the map below details how the possible costs of the twelve rules would affect states. By examining which industries are impacted by the legislation, and using Census data on the geographic distribution of industry establishments, AAF is able to approximate which states would be most affected. As regulators continue to publish dozens of major rules every year, Congress is naturally motivated to enhance its oversight. The REINS Act attempts to claw back some congressional power that it has delegated over the generations. If exercised aggressively, REINS could save more than $27 billion in regulatory costs and 11.5 million paperwork burden hours.